TAMA S.L.P. Studio Maple Snare 14 x 6.5 in. Tone, depth and texture sealed into a boutique-quality snare from Tama. The Tama S.L.P Studio Maple is built on the foundation of a 6-ply, 5mm and 100% maple shell. The drum outputs the all the best qualities of maple tone (see: warmth and depth) even in the most discerning environments. Aided by 100% maple wood hoops, this shell is also coated with urethane for enhanced durability. 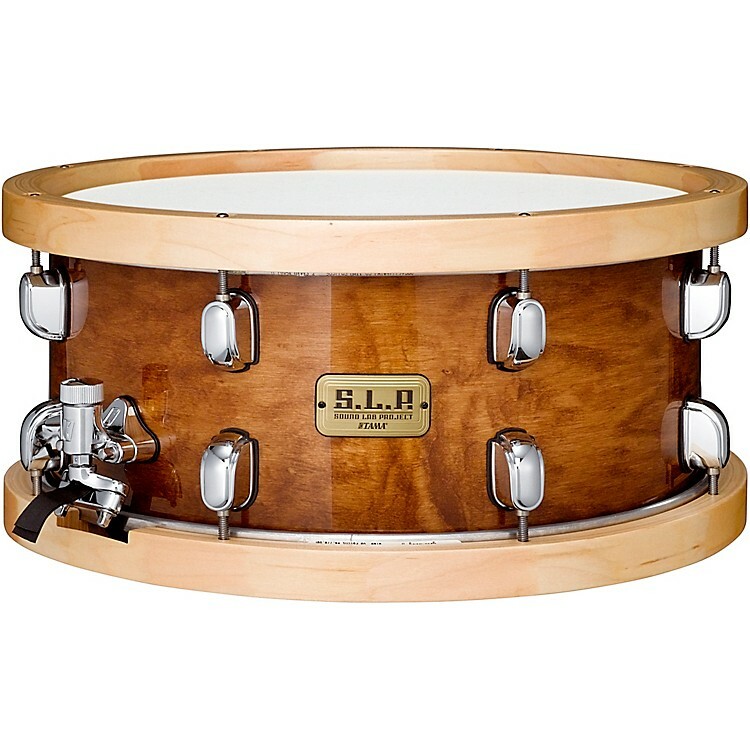 The lugs on this snare drum are Starclassic issue and the snares are 20-strand super sensitive hi-carbon steel. A snare that shines under a studio microscope. Order today.